Each year, WiPS invites its members to submit examples of their best work for publication in our annual anthology, IMPRINT. This year, dozens of talented writers, poets, photographers, illustrators and editors took part. Most are based in Hong Kong; while many are now scattered throughout Asia, Europe, America and Australia. Drawing on a smorgasbord of specialities and perspectives, the diverse group cooks up a rich and satisfying anthology every time. Keep IMPRINT handy so you can easily dip into it. You’ll find new and stimulating fiction, articles, memoirs, poetry, travelogues, political comment, humour and much more. The Members’ Directory in the back of IMPRINT serves as a valuable tool for those looking to recruit talent or simply to network. Here you will find contact details and profiles for all the contributing authors, as well as for every other member of Women in Publishing. 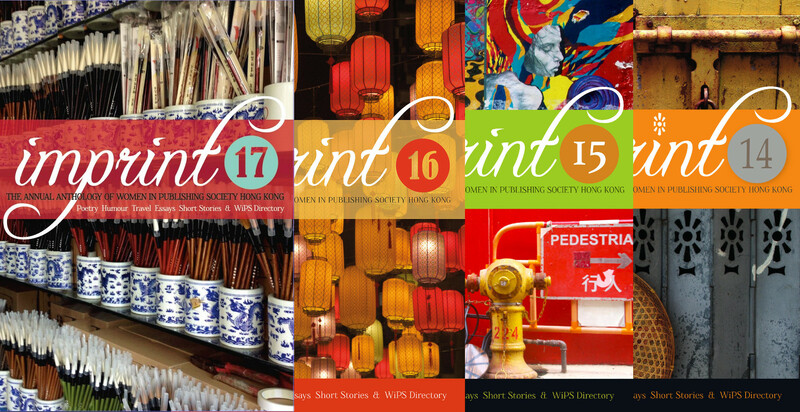 See previous issues of IMPRINT for ideas. We welcome work from new writers. Length: A total word limit of 2,000 for written submissions; or 3 pages for graphic submissions. As long you are within the word limit, you are welcome to send in more than one piece. Format: Written submissions should be in MS Word (.doc) or plain text (.txt) format. Save electronic files under the contributor’s name plus the title , e.g. “Author Name – Free at Last”, and specify your intended category. Please send only a final, completed piece. Amendments will not be accepted. Please also carefully check the spelling of all proper nouns. Copyright: Copyright remains with the author. WiPS only retains the right to publish your submission in this journal. Directory entry: If you wish to update your directory entry, please send this as a separate file – save as “Author Name – bio”. The bio should be no more than 60 words in length. Please note the committee reserves the right not to publish pieces deemed inappropriate for IMPRINT. Click here to submit your contribution.